As an independent, local surveying practice, Philip Carruthers Ltd offers a range of surveying services in order to help clients throughout Exeter and the South West make an informed decision on their property purchase. With in-depth and comprehensive reports such as Building Surveys and HomeBuyer Reports among the surveys that we provide, we ensure that you have all the relevant information you need in order to continue with the purchase process. Buying a home is one of the most important financial decisions we can make in our lifetime, so it makes sense to ensure that you are properly informed as to the structural condition of the property. We have extensive experience performing detailed analysis on all property types. We have particular expertise in Listed and historic properties. When conducting an inspection on a Listed or a period property, it is important that a thorough investigation is carried out to ensure that structurally everything is sound and any improvements and alterations made over the years have not impacted upon the integrity of the building. A Homebuyer’s report will not go into sufficient detail and is generally unsuitable for historic properties. 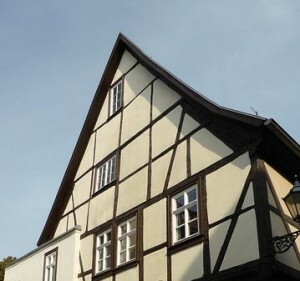 A full Building Survey is far more comprehensive and will cover the performance of the individual components of the building materials, together with defect analysis and maintenance advice, in order that the client may gain a complete understanding of the type of defects involved – which may not occur in a more modern property. As local experts in historic properties, we can provide advice on the best course of action following the discovery of a defect and how to carry out repairs or remedial works that are sympathetic to the needs of an older building. As registered members of the Royal Institute of Chartered Surveyors (RICS) we provide a first class service at a competitive rate and always ensure a service that is tailored to suit a client’s specific needs. Offering a range of surveys, we provide impartial advice to help a client gain a complete understanding of their prospective purchase.